Over the past 12 months, T-Mobile’s network roll-out speed has been phenomenal. It’s ahead of schedule with its LTE expansion, and ahead of schedule in migrating customers from the old MetroPCS network over to T-Mobile. As part of its earnings results yesterday, Tmo announced that it plans on decommissioning MetroPCS’ CDMA-based networks as soon as the end of this year. In fact, in three cities, it will be switched off completely before 2015 comes ringing in. Las Vegas, Boston and Philadelphia MetroPCS will turn off by the end of December. Since merging with the company last May, T-Mobile’s been working to get customers switched over to T-Mobile compatible device. So far, around 40% of subscribers have done so (or around 3.5 million customers). What’s more, a quarter of the spectrum gained by merging with MetroPCS has already been reused or re-farmed for use in Tmo’s LTE rollout. Of course, there are still customers yet to switch over to Magenta-flavored devices. And for those who haven’t switched by the time the old network is decommissioned, roaming agreements will be in place so they’re not left without the ability receive cell signal. T-Mobile is also planning “more aggressive handset swap-out promotions”. And, although the network might be disappearing, the brand name will not. 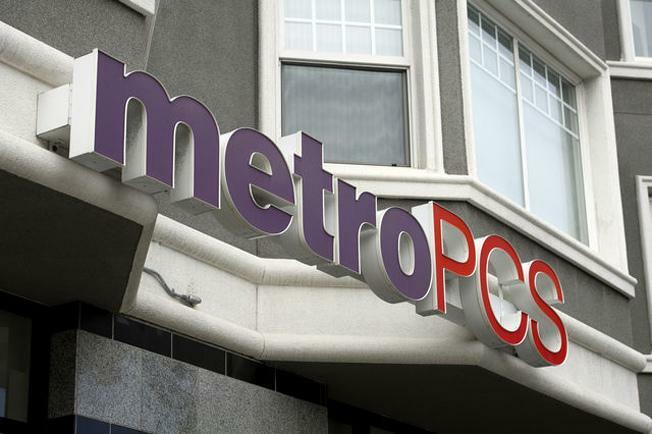 Tmo will continue to sell devices under the MetroPCS brand, despite continuing to use T-Mobile’s own prepaid brand. Both brands target different markets and hold value, even if they might cause a little confusion for some. I hope T-mobile continues the lte expansion pace and add new expansion of old edge towers to lte. It may not be as widespread as say verizon or At&t but they plan to cover more than 250 + million pops with AWS LTE. This means their current coverage map of (205 – 210 million pops) will probably need to double in size this year. Meanings expect coverage area to expand outwards from cities further into suburbs and potentially along very busy highways. For some reason, the slide deck for the Q4 Results presentation is throwing an authorization error when I try to download it so I can’t check this, but I don’t recall them specifying that the 2014 target for LTE deployment (i.e. 250M POPs) was going to be delivered using AWS spectrum. Is there somewhere that states this categorically? Otherwise, I think they will reach that target by deploying LTE on the 700MHz A-Block spectrum later in the year, while making some very modest progress in the earlier part of the year using AWS. Thanks! As I thought, they don’t specify the spectrum they will be using to achieve the 250M POPs target, which would suggest, almost certainly, that it will be a combination of AWS and 700MHz A-Block. The edge only towers can probably be made to transmit LTE (with some s/w upgrade) in addition, can’t they ? And EDGE is on 1900 Mhz ?! So perhaps they will use 1900mhz on some edge only towers and where they do have 700 mhz spectrum, they will upgrade the equipment as well. Any cell site which is going to deliver LTE will have to go through the modernization process and by equipped with either new NSN or Ericsson hardware, plus the supporting changes on the backhaul. Since there is AWS licensing in most areas and the new hardware will obviously support services on AWS spectrum, I don’t think it will be necessary to do anything with the PCS (1900) spectrum, other than maybe re-provision it to support some HSPA+ service, as has happened everywhere else that the upgrades have been carried out. The key is the engineering work to modernize the sites and boost backhaul. I just don’t think they will do a lot of that outside the broader suburbs and along the main highways…at least not for the foreseeable future. Kurwa !! More tower for Chicago !!!!!!! So I guess the 700Mhz A block hasn’t been transferred to T-Mobile yet? Is the FCC sleeping or something??? That was the DoJ approval, not FCC. Their interests are different. DoJ has to consider anti-competitive factors. FCC has to consider usage issues and enable a process for objections to be tabled. Which takes gazillions of years apparently!!! This needs to be expedited!!! Replies to oppositions are due Monday, March 17, 2014.
ah, must have missed that. i blame valentines day! Facts, facts, facts…. DOJ signed off, not FCC yet. Info was right on tmonews.. This is great. The sooner it’s done, the more efficient bandwidth is used. Braxton Carter, the former CFO of MetroPCS and current CFO of Tmobile. Not all Metro in Detroit is sold to Verizon. Just in excess of 20×20. It was also not “Given”, it was sold as part of the spectrum swap for the 700 mhz. Did you do your research before stating your fact in error? I’m just talking about there CDMA spectrum. We repurposed there LTE spectrum to allow us to go to 20×20 LTE. I am an actual engineering employee in Detroit and have sat through the meetings about this issue. In any event, you are referring to the 1900 pcs frequency that Metro PCS uses in Detroit for CDMA, which was previously scheduled to be shut down way prior to the 700 block purchase from Verizon. Since you are an engineer, maybe you could enlighten us more as to what blocks of the 1900 are already refarmed and being used for the hspa+ (previously edge/gsm) and which blocks of the 1900 are Metro PCS CDMA. Might be good information to enlighten folks with. So the PCS E block spectrum that T-Mobile received through MetroPCS for BTA112 (Detroit BTA) is being transferred as part of the transaction to acquire Verizon’s Lower 700MHz A block spectrum. T-Mobile is willing to give up this license because it owns the full PCS C block license (1895-1910 / 1975-1990) for the Detroit area from SunCom Wireless. Outside of the Detroit area (but within the Detroit BTA), T-Mobile has other licenses to beef up its PCS allocation. The transaction agreement document gives T-Mobile a few months to shift or shut down any network operating on the PCS licenses T-Mobile is transferring in Detroit and other areas to VZW. That probably prompted the accelerated shutdown. Thanks for clarifying that. I was wondering if that would mess up (at least in Detroit) T-Mobile’s plans to move their HSPA+ network over to 1900. Don’t troll on the grammar unless you spell the word correctly! Careful what you say on this forum. I was almost fired for saying things I thought were innocuous but turned out to be inside info not for public consumption. Keep your head down brother. We all know that the engineering department is fat. Don’t give them a reason to consider you expendable. So metro wont exist in Philly? or would it be all T-Mobile in Philly and no more Metro at all? MetroPCS itself will still exist, they just will be using the T-Mobile network. The MetroPCS network is what is going away. According to this report, TM will keep the MetroPCS brand alive, but customers will be using either TM-compatible devices on the TM network, or their old MetroPCS CDMA devices supported by roaming agreements. New customers will be getting the TM-compatible devices already, presumably. I hope T-Mobile adopts Joyn. It would be a nice step towards VoLTE and more IMS services besides WiFi Calling. In an ideal world RCS would take over SMS/MMS. If everything could be done through the built-in dialer that would be even better. I still don’t really understand what the difference between the T-Mobile 70.00 plan and the MetroPCS 60.00 plan. Someone want to enlighten me? There’s a hierarchy that goes with T-Mobile. If you’re on Magenta you get LTE speeds, and on Metro you may not get the same speeds. The other comments are true as well.